Our newest online assessment tool is based on our Hero Maker content and it measures personal multiplication leadership capacity on five distinct levels. The five levels of personal multiplication leadership capacity can be developed and are not genetically constrained. Moving to Level 5 is not easy and will require undoing some unhealthy paradigms and traditional measures of success. However, with intentionality, discipline, and hard work, anyone can develop Level 5 multiplication leadership capacity. At Level 5, leaders see their legacy through a new and different lens. Rather than focusing on what they can do and accumulate, they focus on who they can invest in and propel forward. We’ve chosen to use the words “hero” and “hero-maker” to describe the transition from Level 1 to Level 5 personal multiplication leadership capacity. Levels 1 through 5 represent a spectrum or continuum of characteristics. At Level 1, leaders are the hero with much of the critical work and mission falling on their shoulders. At Level 3, leaders are making heroes who they share the work and mission with to help fuel the growth of the organization. At Level 5, leaders are making hero-makers who invest in making other hero-makers to the fourth generation into the future to multiply impact far beyond the sending organization. Level 1 is “me” focused. Level 3 is “my organization” focused. Level 5 is “God’s Kingdom” focused. This spectrum is similar to the discipleship spectrum Jesus modeled for us. At Level 1 a person is a disciple. At Level 3 they make disciples, and at Level 5 they make disciple-makers. Hero-makers who are also disciple-makers are the fuel of multiplication movements. Look closely and you can see how subtraction, addition, and multiplication are embedded in this continuum. Level 5 is the fuel of multiplication movements where hero-makers make other hero-makers and disciple-makers make other disciple-makers. In this context, the latent capacity of the Body of Christ is released to all corners of society. The following is a summary description of each of the five levels of hero-making (personal multiplication leadership capacity). Not every characteristic described in present in every person. Don’t get stuck on specific characteristics. Instead, focus on the overall aggregate description of a Level and the personal culture a leader creates or lives within at that level. Level 1 – Serving People: These leaders are often constrained by their own leadership capacity and tend to be biased to doing most critical things themselves. They are the hero in their story. Very little time is invested in coming alongside and developing others. These leaders may actually enjoy serving others so much that they lack desire to invest in and develop others. What these leaders need most is intentionality in recruiting and developing others, and letting go of their current paradigms of success. These leaders often find themselves serving within cultures characterized by scarcity. In some cases, it may be their own Level 1 paradigms that are causing or contributing to the scarcity. These leaders may have convinced themselves their isn’t enough time or that there simply aren’t people available to develop. The opportunity cost of trying to do everything themselves is significant. It simultaneously limits their overall impact and it prevents them from ever having the perceived time to invest in others the way they need to. Heroes will always constrain their sphere of influence to their personal leadership capacity. As a result, they are held captive at Level 1 until they embrace a new measure of success: making heroes of others. As the weight of this captivity increases, the drive to do more themselves may further hinder their ability to break free. These leaders are stuck. To move to higher levels of leadership capacity, they must first recognize their captivity to Level 1 and take steps to be set free from their current paradigms that are restraining their full potential. There tends to be no intentional or deliberate leadership development process in place for these leaders to develop other leaders. Level 2 – Recruiting People: These leaders see the value in expanding ministry through others and are committed to recruiting others to share in the mission and the work. Level 2 leaders thrive on stability and drive for it. They are keenly aware of the organizations most pressing needs and what critical roles need to be filled. They are heroes who like to recruit other heroes to share the work. A stable, effective, and efficient system and operation is important to how these leaders think. The culture being created may even be described as one that values awareness and stability. These leaders may be content with their current leadership capacity, and hence, the need for change may not be recognized. They’re optimizing their leadership to fit the needs of the system. If the potential need for change in their leadership is recognized, it is likely that the perceived pain of change is thought to be greater than the perceived pain of staying the same. In this way, these leaders may be unintentionally and unknowingly held captive to Level 2 multiplication leadership capacity. Change disrupts stability which is what their culture values. Level 2 hero-makers do invest in people, but primarily and strategically for the purpose of operating the system, improving the system, and keeping it stable. The development is not typically for the growth and expansion of the organization. These leaders may be aware of or sensing the need for leadership development processes, but little progress has been made to turn it into a stable system. What these leaders need most is to discern the need for change and to see others as potential heroes. Level 3 – Developing Leaders: These leaders tend to thrive in organizations with a culture of growth and expansion. These leaders tend to be keenly aware of their own leadership capacity limitations and are striving to improve. A primary measure of success is numerical growth. Making heroes is about growing their organization. They tend to pursue legacies that will be measured by what they build, grow, and accumulate rather than by who they develop, release, and send. These leaders see the vital importance of leadership development and are putting (or have put) formal “leadership development pipelines” in place to fuel the growth of the organization. They want to make heroes of others. However, a key distinctive on their internal drive is that their efforts are primarily focused on growing the local organization and achieving organizational impact and success. They see each potential leader as fuel for local growth. They do invest in people, but it tends to be with an eye toward mobilization for the good the local organization. “Winning” tends to be measured more by mobilizing people into the organizations needs than it is by helping the person discover and engage their unique sweet spot of personal calling. What they need most is to see the leaders they recruit and develop as uniquely made children of God who might have a purpose beyond the local organization and its needs. They need to see their hero-making efforts as a stewardship of God’s people for His purposes, beyond the numerical growth of their own organization. These leaders need to embrace Level 4 and 5 measures of success and legacy to increase their personal multiplication leadership capacity! Level 4 – Releasing Leaders: These leaders see beyond addition growth. They embrace reproduction strategies over addition strategies and consider a key measure of their success the development AND release of leaders.They are moving beyond making heroes and see the fruit and impact of making hero-makers. They are pursuing the 5 essential practices of hero-making in their own lives. To the extent that Level 3 is about accumulation and growth, Level 4 is about growth and release. Their scorecard is biased to counting people who’ve been sent for impact beyond the local organization. These leaders are intentional about investing in leaders who will be sent for impact beyond the local organization. However, this “release” is often painful. The best people you develop tend to be the ones who want and need to be released. At Level 4 you deal with the grief of loss. Especially in light of the proven Level 3 practices and strategies that may have propelled them to Level 4. Level 4 is simultaneously exhilarating and exhausting, and the tension to Level 3 is always lingering and influencing. These leaders experience the real life tension between the Level 3 and Level 5 characteristics that seem to pull them simultaneously in both directions. What these leaders need most is intentionally and perseverance, with an eye toward Level 5 hero-making. They need to move from hero-making being programmatic to it being built organically into their DNA and natural rhythms of life. Level 5 – Unleashing Leaders: These leaders see their primary purpose and legacy as the people they invest in. They spend significant time and energy intentionally looking for and investing in other leaders. They model the 5 essential practices of hero-making, including multiplication thinking, permission giving, disciple multiplying, gift activating, and Kingdom building. They care deeply about their organizations, but their scorecards and measures of success have no organizational boundaries. They are committed to identifying, developing, and releasing leaders for Kingdom impact regardless of where that may take the leaders being released. Level 5 Hero Makers care deeply about helping people find their unique sweet spot of personal calling and the best place for them to live it out. They care more deeply about others finding their unique roles than in filling the critical roles inside the organization. These leaders have a vision for impact far beyond what happens inside their organization and direct span of control. They value results, but care deeply about the stewardship of how results are attained. They believe multiplication through hero-making is the fuel of sustained impact. The rhythms of hero-making are so deeply embedded in their lives that these Level 5 hero-makers would produce other hero-makers without even having formal systems. However, they do embrace reproducible systems for hero-making that allow increasing numbers of leaders to develop as hero-makers. #1 – Exponential Hero Maker Events – We have Hero Maker events in Washington DC, Southern California, Northern California, Chicago, and Houston. These events are designed to equip leaders and teams in the 5 essential practices of hero-making. Click here to learn more. #2 – Hero Maker Digital Access Pass – All main stage videos and creative elements from our national HeroMaker event in Orlando, FL are available for immediate download and use. These are great training resources. Click here to learn more. #3 – Hero Maker Book – This is our key resource for the Hero Maker theme during 2018 at Exponential. 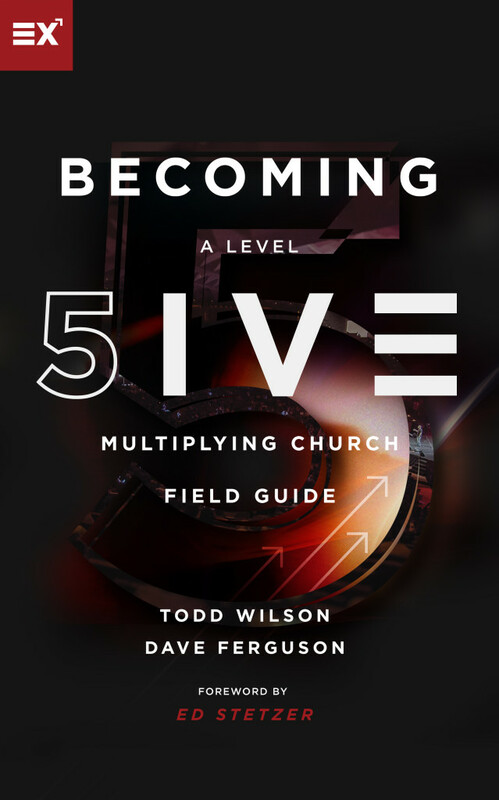 This book by Dave Ferguson and Warren Bird highlights the 5 Essential Practices for Leaders to Multiply Leaders. #4 – FREE Multipliers eBook – This free eBook from Exponential has a chapter (chapter 9) that addresses hero-making. It also covers core content from the past 4 years at Exponential. Download the FREE 4 chapter book that supplements the Becoming Five Assessment Tool.